9 Awesome Treadmill Training Tips! The privacy of our own home, where everything is to our taste and preferences, is basically what keeps most of us away from the gym. It is normal that some people will not feel comfortable in certain environments, and the gym is no exception to that. However, during this era of speed and efficiency, the gym is the most sensible option for an active lifestyle. It has trainers, good vibe, and fellow sports lovers that keep the mood up. However, there is one way to fast-forward the whole gym experience to the point when your endurance will be envied even by the gym goers. The core of such an effective home training is a treadmill, but the training should be streamlined with the following tips and tricks. 9 Awesome Tips For Training on ! There is no need to purchase a gym membership just to have access to a treadmill. There’s the time wasted on going to the gym and waiting in line to get your turn on the treadmill. Some gyms are so busy that they ask their customers to use the treadmills just for a ten minutes quick warm-up. One of the former obstacles in acquiring your own personal treadmill was the price. A decent equipment could have started from even $1,000 which is not within the accessible price range for many people. However, the treadmills are not a novelty anymore, and bargains have started to appear more and more often in this sector. For example, you can take a look at the Weslo Cadence R 5.2 Treadmill. The price is only $300, but for such a low-cost treadmill, it’s outstandingly high-quality and effective. The ratio price and quality are enough to catalog the product as a bargain. It is also a foldable gear which is just the ideal feature for a home gym. It has six preset programs that cover weight loss routines and intensity sequences. The treadmill is, after all, a jogging equipment that reproduces the real running movements while staying in the house. So, a barefoot routine or jogging with slippers on is highly unrecompensed. You can get tired too soon and even get injured. The feet are absorbing the impact when running more than any other part of the body, so they need the right protection. The most important aspect when choosing the running shoes is the comfort. Contrary to popular belief, the shoes don’t need to be tested to feel if they are right for you or not. They should feel perfect right from the store, so don’t stop trying as many pairs as possible. Running on a treadmill requires the feet to perform extreme bends. This is why it is important that the shoes be flexible. They need to allow and protect any kind of movement. The best shoes would provide cushioning for the heels, the most exposed part of the feet while running. The cushioning distributes the impact force to a larger area, and the effects will be milder. It is crucial for a good training performance to warm up before the training. Even though the treadmill routine doesn’t require complex yoga-like movements, it shouldn’t start off without some basic whole body exercises first. The warm up exercises don’t just prepare your body for the following intensive training, but they also set you in the right mood. When stepping on the treadmill directly, even the beginner’s level will seem quite a look of effort. However, the light introductory exercises will spark up the energy, and your body won’t feel so tired and heavy anymore. A good warm up should take between five to ten minutes. The blood circulation will increase, and the tendons and ligaments will gain flexibility. The following moves cover a basic warming up routine (make ten reps for each): hip rotations, side arm raises, arm rotations, mid back turns, single leg hip rotations, and jumping jacks. However, you can simply turn on your favorite music, and dance like nobody is watching for some full 7 minutes. It’s time for the real deal which is the actual treadmill training. This workout is at a basic level, yet it is intensive enough to active the fat burning process. Start by warming up and getting accustomed to the treadmill with a five minutes light walking with a 3.00 mph as speed. This first stage will help you find your balance. Speed up a bit with a 3.5 mph and for half a minute walk on your toes and use the second half of the minute to walk on your heels. Start increasing the speed between 5 and 5.8 mph. Remain at your comfortable speed within this range for 15 minutes. A comfortable speed means being able to keep a reasonable conversation while training. The final five minutes represents the slowing down stage. Now you can lower the speed slowly each minute until the treadmill stops. You can repeat this routine for a week and then move on to more challenging training. These training can vary in speed, and they also are a great time to experiment with the inclining feature. After this first week, start inclining the treadmill above level 4 and while selecting a slower speed. An interval workout represents a high-intensity exercise followed by lower intensity movements and repeat. The benefits of such a routine are many. Some of them include keeping your calorie burning process function for hours after training, boosting your endurance, cutting the training time in half, and improving the health of your heart. Start with a five minutes workout with a relaxed walk on the treadmill. Start running at seven mph for 30 seconds or one minute. Alternate the running with a light jog at 3 or 3.5 mph speed for 2 minutes. Repeat the interval for five times. This shouldn’t take you more than 18 minutes. End the program with a cool-down for another five minutes when walking at a lower speed every minute until you reach 0 mph speed. 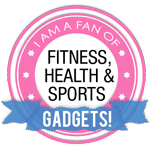 The activity trackers are the most amazing accessory for all sports lovers. They are always with you to literally track every step you take, and they have plenty of advantages. First off, they keep you motivated. They allow you to compete with yourself which makes it easy to work on the level that is more suitable for you. By being aware of your history of workouts, it comes naturally to level up the training when it seems to become too light. You can check out the best ten fitness trackers in 2016-2017 to monitor everything from calories burned and a number of active minutes to sleep quality and heart rate. Even though the treadmill routine is simple, there are some indications that you should listen to before starting your training. First off, it cannot be stressed enough how important the warm up is. Usually, people regard this first stage as unnecessary and a waste of time. But the reality is a completely different story. Even though the warm up exercises are light, they are covering all the parts of the body which will ensure that nothing is left to the hazard of pain or early fatigue. A trick for a successful treadmill routine is to keep your hands off the side rails. Providing your body with support during a workout, you will only ruin the balance between the upper and the lower body. For the training to be as effective as possible, it requires a full body workout. Thus you should keep your hands swinging along the body with your fists relaxed. Also, the difference between safety and injury comes at the beginning. It is important to be aware of the way you stop the treadmill training. Ceasing the workout all of the sudden for a quick hydration session will not do you much good. So, always make sure that you slow down your walking until you come to a halt. The sudden movements are also a great occasion for a sprained ankle which will not help you achieve your fitness success. All in all, this pretty much covers the introduction to mastering the classic treadmill once and for all. I would love to hear your own thoughts about a treadmill workout, so don’t hesitate to leave a comment bellow. Check ut my treadmill recommendations for home use if you have trouble choosing. Thanks for your article. I’m in my 40’s now and exercise regularly, and I’ve found the warm-up to be more important than ever! I use a treadmill several times a week in different ways and I appreciate the tips you’ve given here. Lots of good things to think about. Thanks for the comment, Kevin. 🙂 I’m glad you found the article useful. Do you think the Weslo Cadence R 5.2 Treadmill is a good option for running? I had a look on the GARMIN VIVOSMART HR+ and I guess I will order it. It’s te best way to monitor calories and heart rate. Thanks! Hi! The Weslo Cadence R 5.2 Treadmill is a good treadmill for home use, mainly because it is quite cheap. On my list over recommended treadmills I mention the Weslo Cadence G 5.9 Treadmill which is almost the same. If you have the money I will definitely recommend the NordicTrack C 1650 Treadmill which is really cool, but it costs. I have placed it on number 1 on my treadmill list. Really great tips for beginning treadmill users.Thanks for sharing an awesome content ? Really nice post for treadmill users.Do you have any post like best treadmill review for runners? Thank you for the tips, Andreas! Treadmill workouts are great for you if done it correctly. Once you step on the treadmill, it’s time to envision your fitness goals, work hard and train like an athlete to achieve them. Thanks for the nice article that will helpful for anyone. I think the ProForm ZT10 Treadmill is the best running machine.